The new installment in the EverQuest franchise, EverQuest Next, will be unveiled by Sony Online Entertainment at the studio’s SOE Live 2013 event this weekend. According to details posted on the event page, SOE Live 2013 will run from August 2 – 4 in Las Vegas but the EverQuest Next reveal will go down sharply at 3:00 pm ET on August 2. The panel will be hosted by president of the firm, John Smedley, and include director of development Dave Georgeson, as well as other members on the development team. 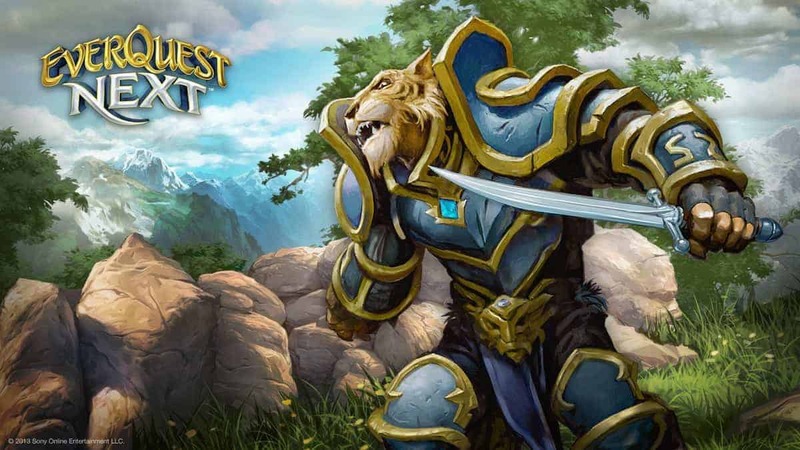 All of whom will take turns revealing details about the new EverQuest Next. The whole event will be live streamed on their Twitch Channel and will probably last around 2 hours. All of that will be followed by EverQuest Next sessions throughout the weekend; which will offer a closer look into the world of the game and how players will be able to interact with it. A different panel that will talk about the game’s classes will take place at 4:00 pm ET on August 3 and another one at 5:00 pm will discuss the lore. I’m sure EverQuest fans are going to be waiting anxiously for news on the new installment.